Car seat: Depending on when your baby is due to be born, a “nice to have” item is a car seat bunting bag. It is like a sleeping bag for the car seat so you don’t have to put on a snow suit in the winter! Make sure you consider strollers in conjunction with car seats. 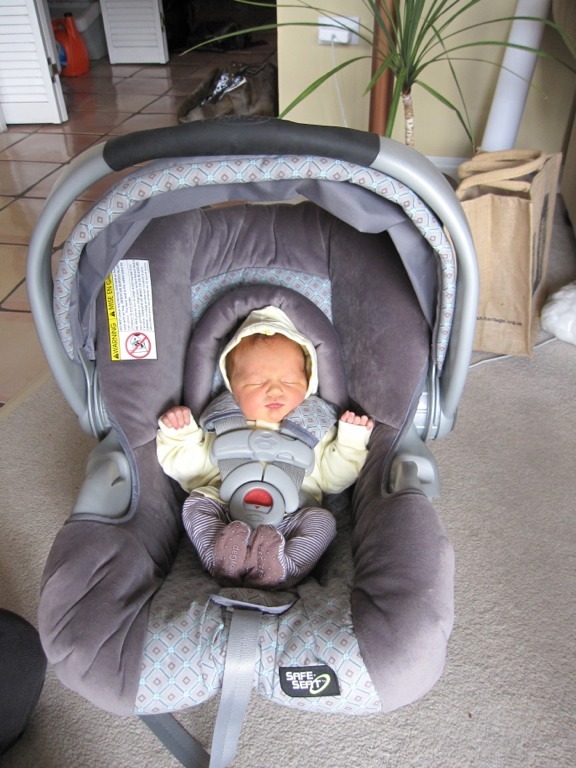 Certain car seats are compatible with certain strollers. Another “nice to have” item for the car is a sun shade. New babies are particularly sensitive to the sun and I remember running around trying to find one of these things in a hurry. It would be great to have it in advance. Strollers: Oh so many choices – may be best to have a conversation with a variety of mamas because I think everyone has a different opinion! Depends if you want a running stroller/combo bike trailer, or an everyday stroller. Carrier: These are really nice to have for the new baby period because babies sleep so well when they are on someone’s body. That skin to skin contact is really amazing. The positive outcomes of skin-to-skin contact blow me away. It is used in Neonatal Intensive Care Units to help stabilize premature babies. When a baby is on the chest of mommy or daddy, their heart rate and breathing rates stabilize! A breastfeeding mama’s temperature will adjust up to one degree in either direction DEPENDING ON WHAT THE BABY NEEDS!!!! If a babe is skin to skin with mama, even a newborn will shimmy themselves to find the breast and latch on. This just amazes me given the little motor control a newbie has. SO – a carrier is great! There are many different models available. I would suggest borrowing a few to find the brand most comfortable for your body. 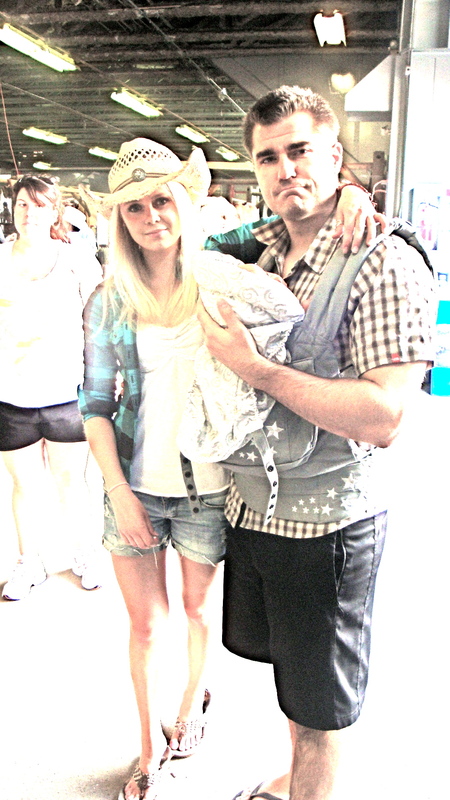 Calgary’s “Babes In Arms” runs baby wearing classes. If you are not able to attend one, they are always willing to help you in store. I liked the sling when E was little because she could be a little bean in there but it was hard on my back when she became heavier. I couldn’t use the sling with F because she was such a refluxer and that position just exacerbated her discomfort. Of note on reflux – sling carriers increase the risk of having a reflux episode… if you have a spitty baby, use a carrier that keeps babe upright. I have an upright carrier called an Ergo and I still use it to do stairs (or be hands free in the airport when I am by myself) . Some people really feel comfortable in a wrap as well. They fit particularly well in the newborn period.